I’m a big fan of mexican food. And I will admit that cheese dip is a weakness of mine. Yes, the white, processed, preservative filled , cheese product is something that I cannot bear to give up. Everything in moderation, right? I don’t ever keep it in my house, but if you spot me at Taqueria Del Sol, you can bet there will be a bowl of melted cheese between Kylie and I (she is also known as the cheese monster), and Jeff will be lucky to get any. I have no idea why I’m confessing this anyway, since my post isn’t about cheese at all, but rather, it’s about CHIPS! These are my favorite corn tortilla chips. They’re a great alternative to the rest of the chip aisle, mostly because they are organic, which means they are not using GMO Corn. The chips are so light, crisp, and delicious, you’ll feel like you’re at a restaurant when you eat them. They sell a blue corn style as well, which my son loves (he says they are purple). 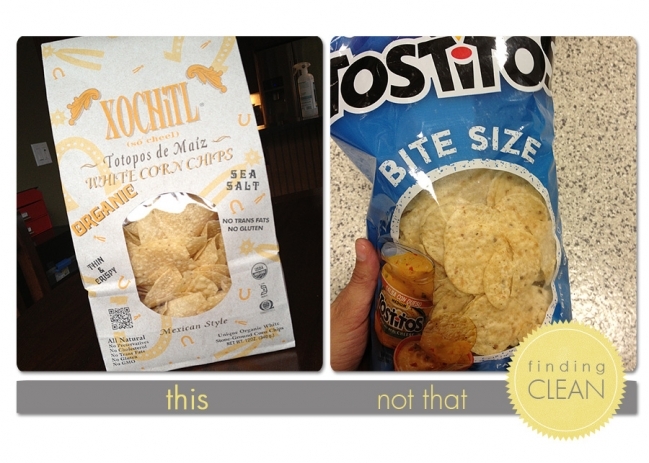 These Xochitl chips are often on sale at Publix on the endcap, but I buy them at Whole Foods as well. ** Gluten free too!